Needing a bunch of thank you cards in a short time, I got out my Humming Along Bundle with an idea for some quick 3" x 3" Thank You cards. In the interests of full disclosure, I tried another idea first but wasn't really happy with the results, but these were happily, very interesting and easy to make, so not too much time was wasted. The first failed experiment involved watercolour paper and Brusho Crystal Colour, but that's another story and was just to unpredictable for a pleasing image. So when I saw the striped pattern from the How Sweet It Is Designer Series Paper package, I knew that it would be perfect, instead. On the 3" x 6" piece of thick Whisper White cardstock, scored at 3", another pattern of the How Sweet It Is Designer Series Paper is added as a background. It's a Melon Mambo pattern. The flower is made with cardstock and the Daisy Punch. 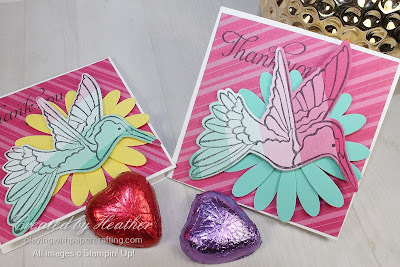 You need to punch two layers and join them, offset, with Glue Dots before adding them to the project. 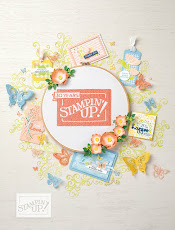 The sentiment is right from the Humming Along Stamp Set. 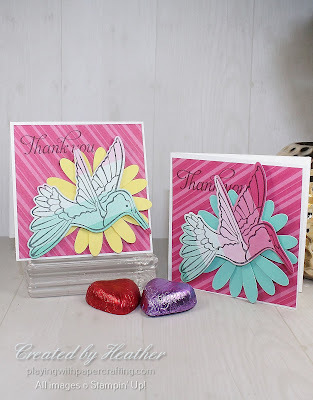 The hummingbird is adhered using Stampin' Dimensionals. 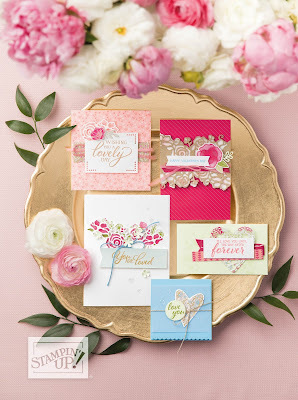 You still have some time to get in on my Suite Shares from the the Occasions Catalogue. What are Suite Shares? With Suite Shares, I offer you a half share of all the paper, ribbon and embellishments that are part of one particular suite in the new Occasions Catalogue. 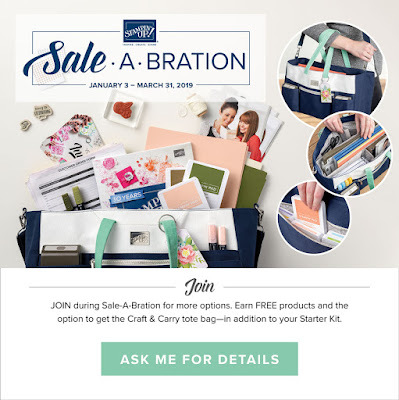 That way you get enough to work with, all the products coordinate, you only choose the suites you really like and you have the option of adding the stamp set and tool bundle to your share and earn Sale-A-Bration rewards and a special treat from me, if you do. The shares themselves are very affordable, so you can afford to do more than one if you would like to. For more details and how to sign up for the shares, click here: Suite Shares! 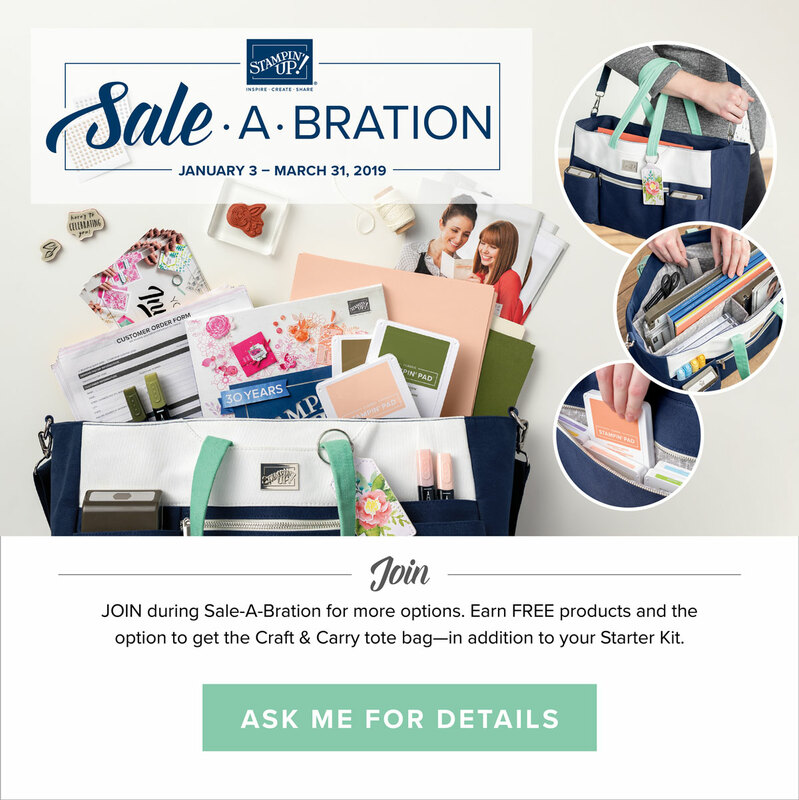 Question: What's the best deal in the Catalogue during Sale-A-Bration? Answer: Without a doubt - the Starter Kit! $135 gets you $225 worth of products, no shipping fee, plus at least 5 months of 20% discounts on your orders and dozens of other benefits. 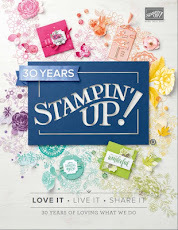 PLUS: Add an extra $40 and get the top quality Crop & Carry Tote bag (worth $68), exclusively available to new Stampin' Up! recruits! Question: How do I get the Starter Kit? 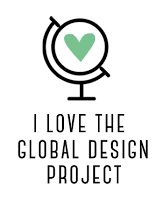 Answer: Look at the top of my blog and find the "Join My Team" button. 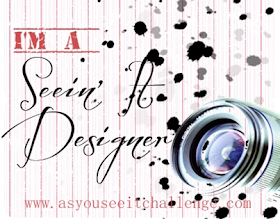 Click on that and follow the prompts. 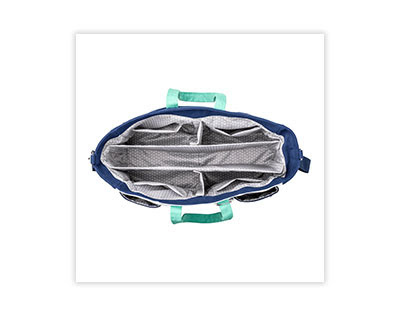 Make a list of the $225 worth of products you would like to have for only $135. 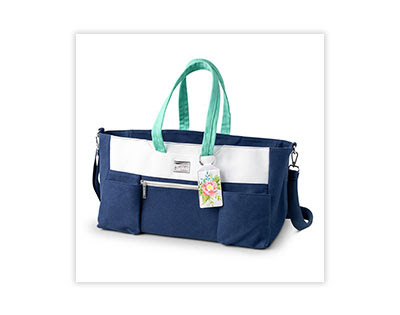 You can choose any current products you like! 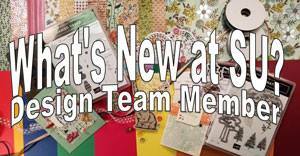 I'd love to have you join my Papercraft Cats Team! Contact me with any questions you might have.